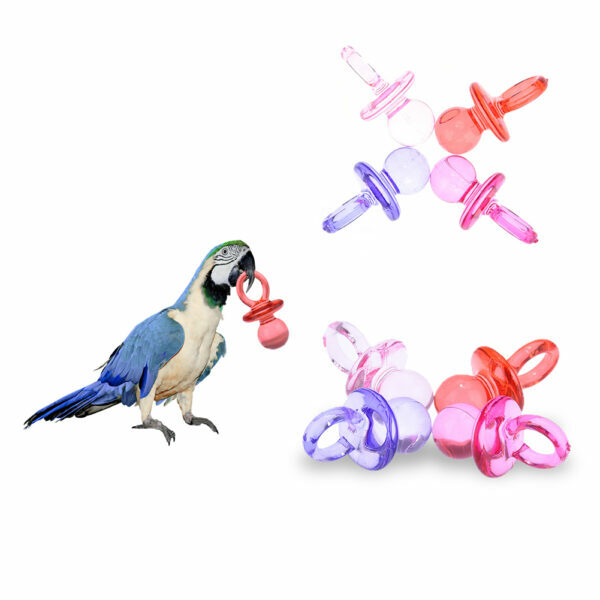 Our parrot chew ball toys are made of high-quality plastic material, environmental-friendly, safe and durable to use. They are great gifts for your pets, colorful ball could attract their attention, and you could enjoy the happy moment with your pets. 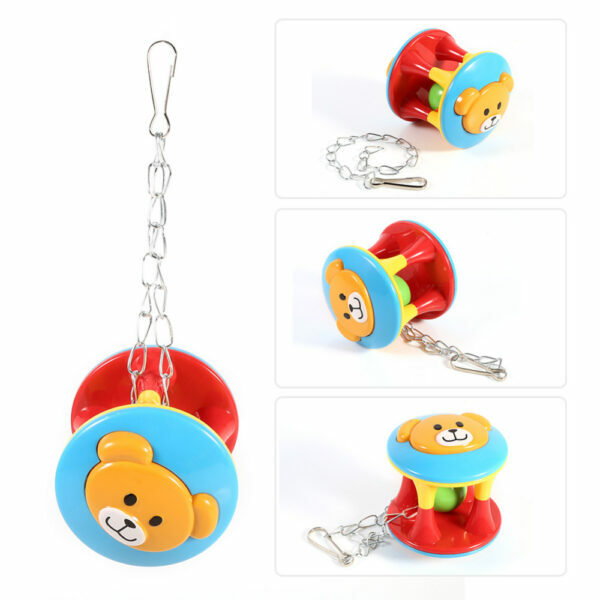 And included iron chain is for easy hanging on a cage or a pole. 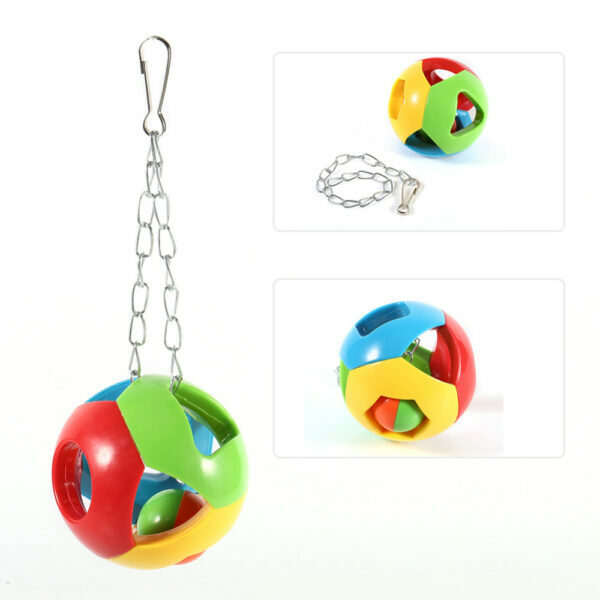 Such practical and nice pet playing balls, worth buying! 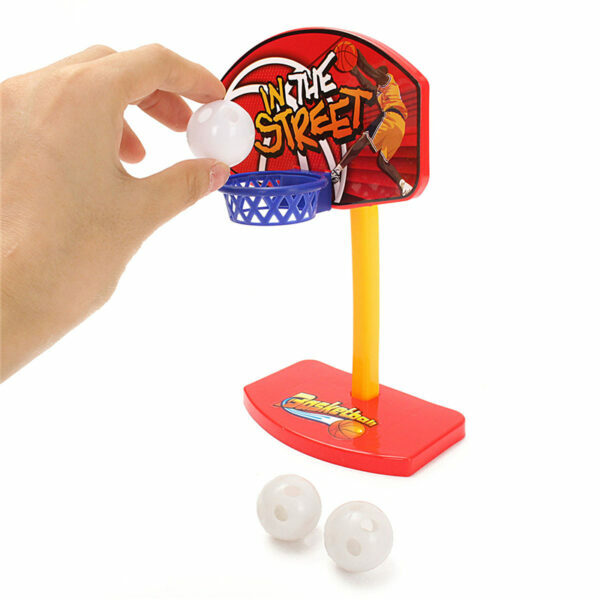 Made of high-quality plastic material, non-toxic, environmental-friendly, safe, healthy and durable to use. 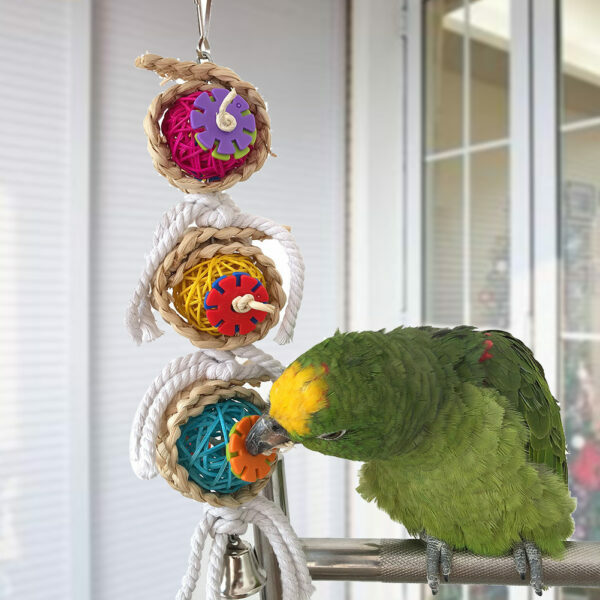 Colorful balls can attract your pets’ attention, a best gift for your parrots or birds. 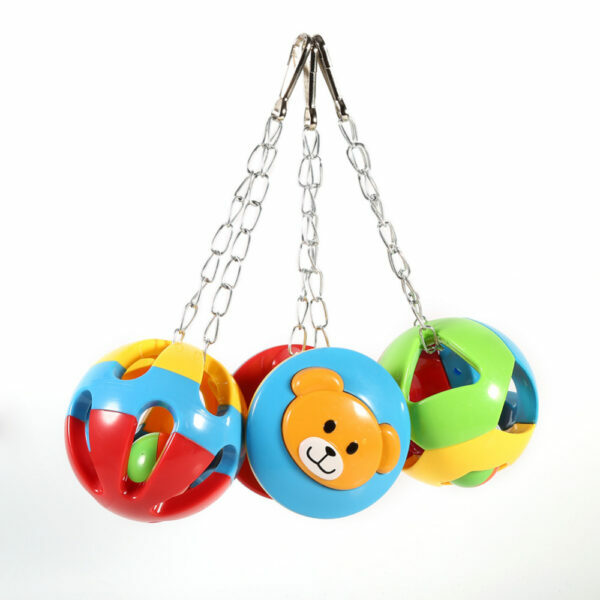 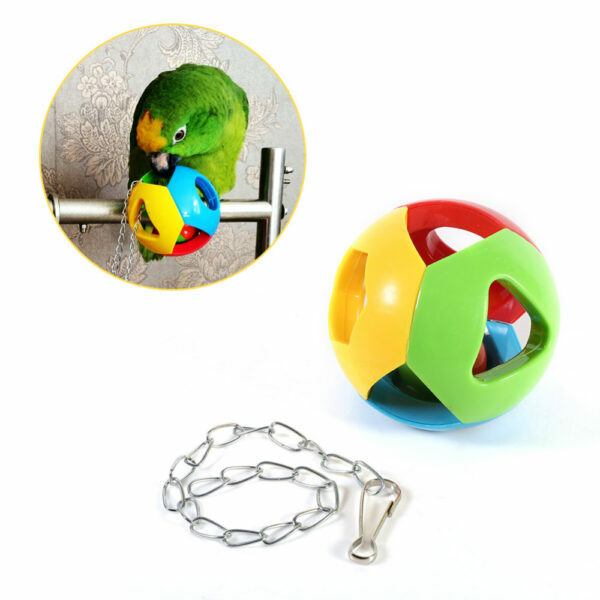 Ball comes with a iron chain, which can be easily hung on a cage, pole or other place for pet playing. Let your pets with you and feel the joy of movement. 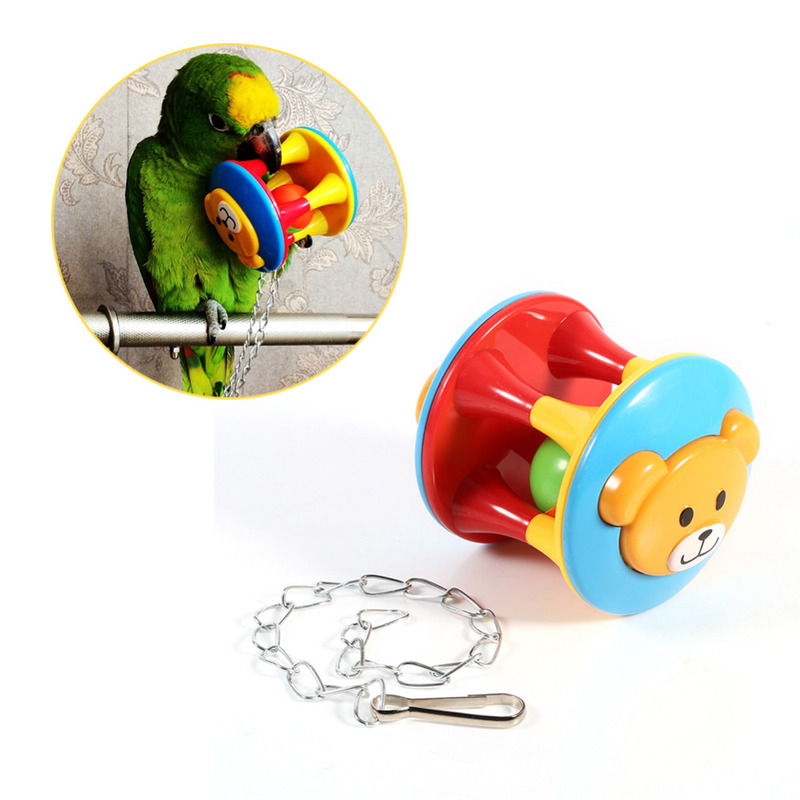 It Can exercising pet’s sensitivity during playing with it. 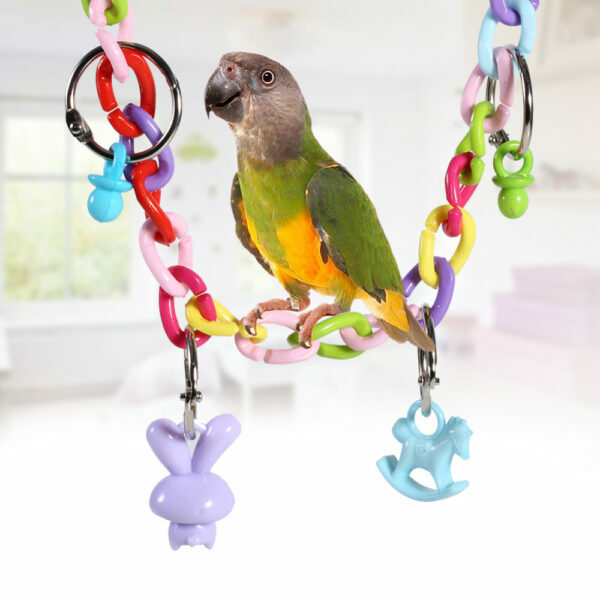 Perfect for parrots, birds, cockatiel and other pets. 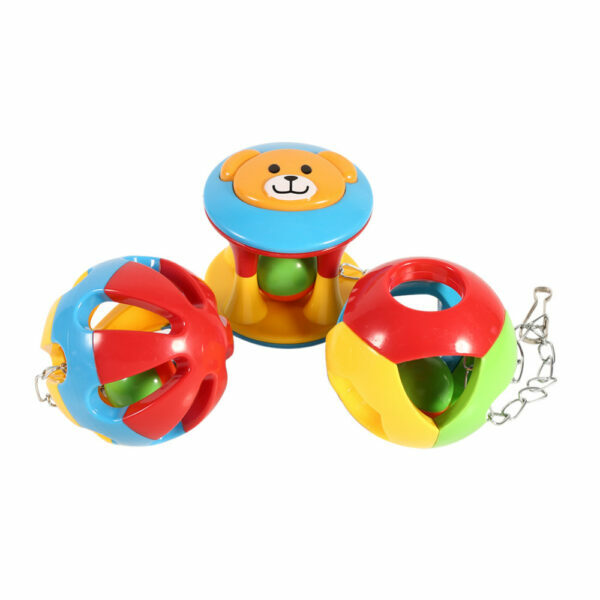 Available in 3 types, just choose the one you like for your pets.